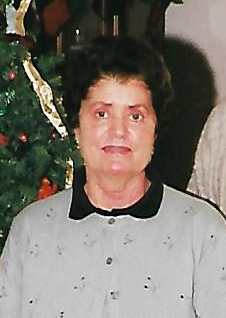 Vasiliki Serepisos Hassakis, 84, of Mount Vernon, Illinois was born and raised in Paleros, Greece. In the 1960’s she moved to Wellington, New Zealand and married Ioannis “John” Hassakis. They had two children, Demetrios Hassakis and Polly Hassakis Hartman. In the 1970’s the family moved to Mt. Vernon, Illinois. Vasiliki and her husband eventually opened a restaurant “Jimmie James Blue Goose.” Vasiliki was an excellent cook who worked very hard. Her loyal customers were an important part of her life and she considered many her friends. Family was most important to Vasiliki. Besides spending time with family, she loved to garden, knit, crochet, travel, cook, and occasionally enjoyed playing slots at the Casino. Her faith, being a Greek Orthodox, guided her through life. She will be fondly remembered by her son, Demetrios “Jimmy” Hassakis; daughter, Polly (Mark) Hartman; grandson, Alexander John Hartman; brothers, Basil (Eleni) Serepisos and Jim Serepisos; sister, Dina (Jerry) Hongsermeier; and many special nieces and nephews. Vasiliki was preceded in death by her husband, Ioannis “John” Hassakis; sister and brother-in-law, Kasiani and Gregorios Patura; sister and brother-in-law, Voula and Jim Soulis; and sister-in-law, Katerina Serepisos. A visitation will be held from 10:00 to 11:00 A.M. Thursday, January 31, 2019 at Hughey Funeral Home in Mount Vernon, Illinois. The funeral service will begin at 11:00 A.M. with Father Achilles Karathanos officiating. Interment will follow at Oakwood Cemetery in Mount Vernon. Memorial donations in memory of Vasiliki Hassakis may be made to organization of the donor’s choice.